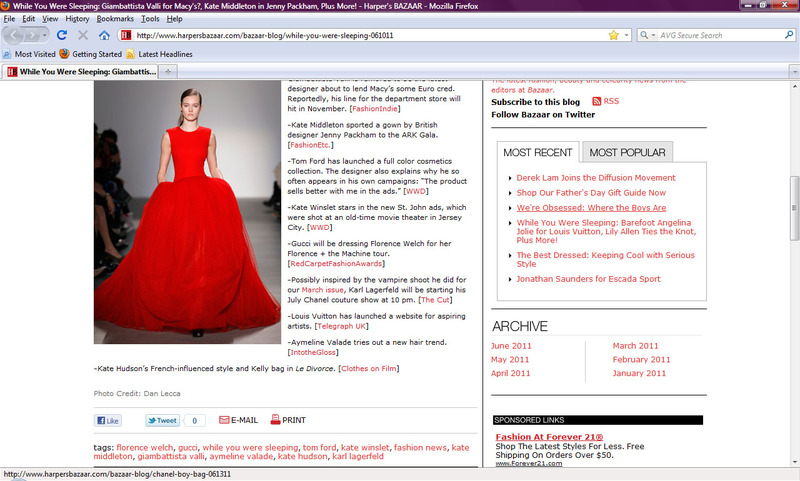 A screen grab of the "While You Were Sleeping" roundup on Harper's Bazaar for June 10. 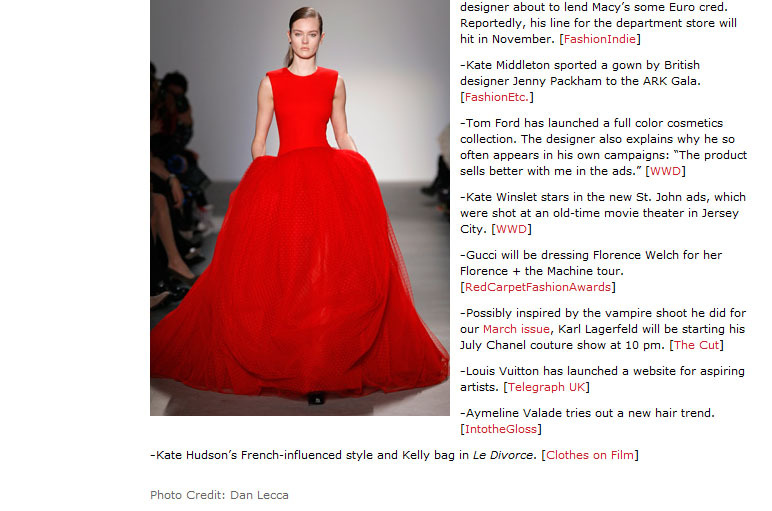 I'm so excited to share that my article for Clothes on Film, "Kate Hudson in Le Divorce: Love is in the Bag," got picked up by Harper's Bazaar online as part of their June 10 roundup of fashion-related links called While You Were Sleeping, from editor Veronique Hyland. There's already a new roundup for June 13 but I think I'm going to celebrate June 10 awhile longer. The link to the article I wrote for Clothes on Film is listed last. That's fabulous! And much deserved. I was working far too much when you wrote your post on Le Divorce. I adore that film--and book--and Isabelle is a style inspiration over the course of the movie. We're doing a small book purge in our house before the move, but my copy of Le Divorce will definitely stay. How wonderful! Congratulations to you. I am so excited for you!!!! Congratulations...keep those great articles coming! CONGRATULATIONS my dear friend. I have been away from internet for 5 days, so I missed this post, You know how glad I am for you, don´t you??? Congratulations! That editor has a good eye! Ladies, thanks for all the kind words, I really appreciate them!